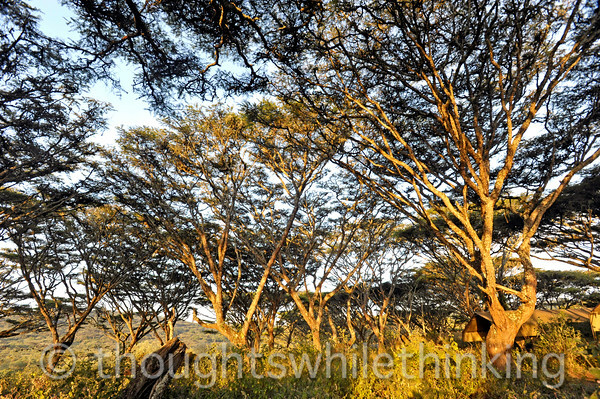 Acacia trees surrounding Lemala Ngorongoro Camp, our home for three nighs and two full days in the Crater. Most viistors spend one day in the crater, but we wanted two just in case the weather was bad on the first day and so that, even tho it is a limited area, there is still the possibility that we would see something the second day that we missed the first day. See for yourself in the following galleries.